Good News, Eleafworld have launched Eleaf iStick TC 60W, so as the official authentic distributor website iStick.org would launched it too, next week, you can buy it at here with best price directly. pay attention to us, you can get the news at firest time. Well, let's to know it first. Temperature Control version. 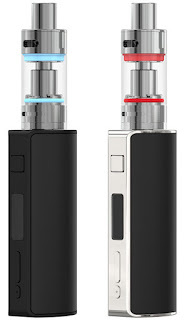 if I say it is similar to iStick 100W, because they both need external battery, both recommend Sony US18650VTC4. 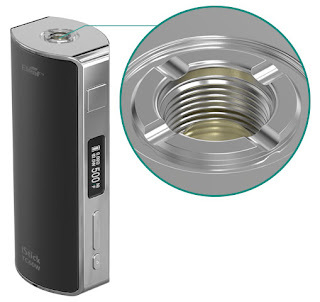 legant and rounded with attractive colors, the iStick TC60W features its changeable magnetic covers for ease of switching your 18650 cell and changing the covers into a different color. Being powerful with 60W maximum output, it is also updated with the smart technology of temperature control supporting both Nickel 200 and Titanium coils. Being changeable and colorful, the magnetic covers are designed for ease of switching your 18650 cell and changing the covers into a different color. 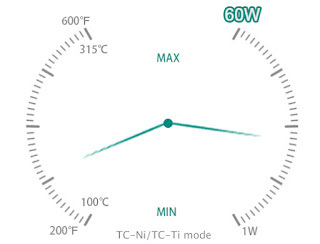 By adjusting temperature and output wattage level (60W max) in TC-Ni/TC-Ti mode, you can enjoy different vaping experiences at different settings without any dry hit. In innovative TC-Ni/TC-Ti mode, it will consume much less battery power and e-liquid than in typical VW mode. As a member of iStick series device, it retains stainless steel threads for strong wear resistance and spring connector for high adaptability. The necklace hole on the battery body are specially attached for ease of always carrying the device with you. The battery power indicator on the screen of iStick TC60W will keep flashing when the remaining power is less than 10%. 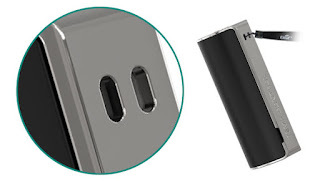 The 18650 cell can be charged in the iStick TC60W through USB port at the bottom of the device via 1A wall adaptor or charged with a separate battery charger. If charging the 18650 cell in the iStick TC60W, the battery indicator will keep flashing during charging and the screen will go out when fully charged. The iStick TC60W is highly recommended to use with the MELO 2 atomizer. You are sure to get an amazing vaping experience from this perfect match. Pay attention to us, you can get more informations about iStick TC 60W, and you can buy it at the first time.